The large caravan of migrants and refugees making its way toward Mexico and the United States is garnering a lot of attention and anger from Donald Trump. Many North Americans had never heard of these caravans until this year. But they are not new. 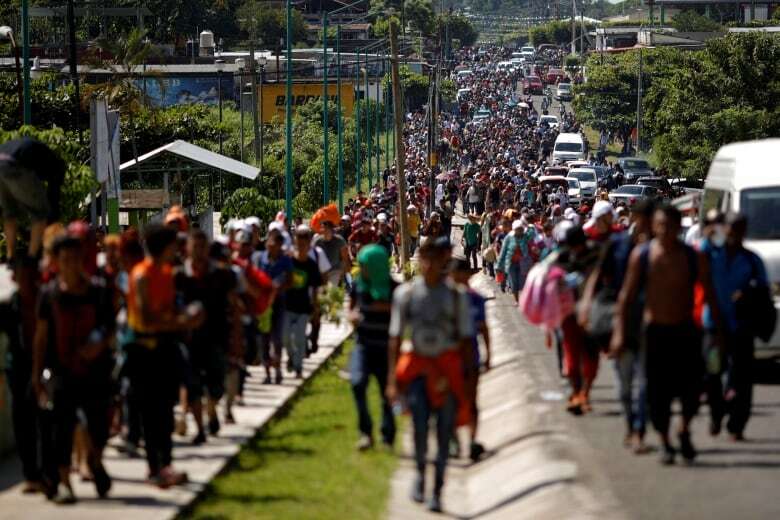 The United Nations estimates the huge caravan currently making its way from Honduras toward the U.S.-Mexico border, is about 7,200 people strong. It's expected that, as seen with the last caravan earlier this year, many people may leave the group, or choose to stay in Mexico, before they get to the border. The group has been getting a lot of attention, especially from Trump, leading some to believe this is a new phenomenon. When did these caravans begin? The organization Pueblo Sin Fronteras (which means People Without Borders) has been assisting groups of Central American refugees and migrants for about 15 years, helping them to travel together to seek asylum in either Mexico or the United States. Pueblo Sin Fronteras describes itself as "a collective of friends" which provides "humanitarian aid and legal advice to refugees and migrants." The annual caravan normally sets off during Holy Week. People move in larger groups as a form of security. One of the organization's stated goals is to protect the migrants from gangs, human traffickers, or corrupt law enforcement officials, who can more easily target vulnerable individuals travelling in small groups or alone. 2018 has seen two large Central American caravans, and more recently, the emergence of a third smaller one. The first left Tapachula, Mexico on March 25 (Palm Sunday) and reached Tijuana, Mexico, just south of the border in late April. Though it reportedly numbered more than 1,000 at one point, there were about 345 people in the group when it arrived in Tijuana. According to Pueblo Sin Fronteras at the time, about 200 planned to make asylum requests to the United States. The large caravan currently making its way through Mexico left San Pedro Sula, Honduras on Oct. 12. In 2012, the Mexican think-tank Citizens' Council for Public Security and Criminal Justice put San Pedro Sula at the top of its rankings of the world's 10 deadliest cities, with 159 murders per 100,000 inhabitants in 2011. About 7,200 people are part of this caravan. 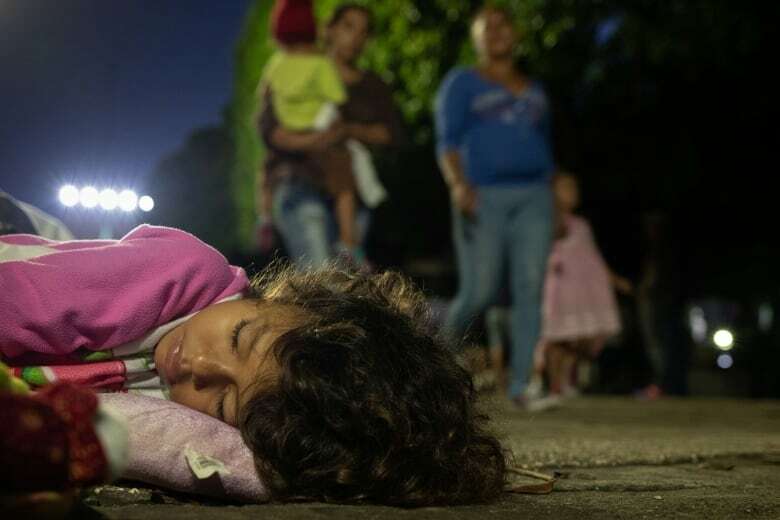 On Tuesday, a migrant shelter in Guatemala City said another, smaller caravan of about 1,000 people had formed and was also moving north from Honduras, having made it into Guatemala. Why so much attention this year? Donald Trump made immigration a central plank of his 2016 election campaign, vowing, among other things, to build a wall between Mexico and the U.S. Shortly after some U.S. media began reporting about the March 2018 caravan, notably including Fox News, Trump started to tweet about the asylum-seekers. He threatened to cut off aid to the countries from which the migrants were coming, and once that final group of about 200-345 did make it to Tijuana, he tweeted that they would not be let in. In recent days, the Mexican government, the group that organizes the caravans, and Trump Administration critics have speculated that Trump is paying extra attention to the current caravan — and using it to drum up anti-immigration sentiment — because of the Nov. 6 midterms. Who makes up the caravans? According to reporters who have joined the caravans to cover their story, they are made up of families; individual women or men travelling alone or with children; and unaccompanied minors. Though they may set off from one country, they are often joined along the way by migrants from neighbouring countries. The stated goal of many is to get away from the violence in their home country and/or to find a job. "We only want to work," Ana Luisa España told AP journalists travelling with the current caravan. "And if a job turns up in Mexico, I would do it. We would do anything, except bad things." "We are all people from Honduras, El Salvador, Guatemala and Nicaragua," Denis Omar Contreras said. 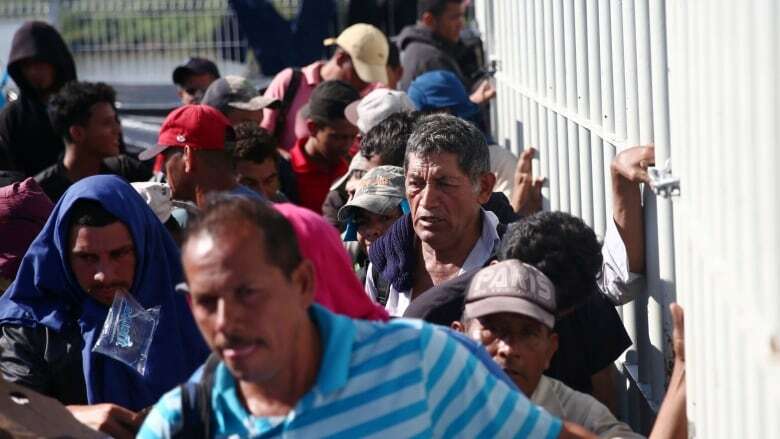 Despite an assertion from Trump Monday that it is harbouring Middle Easterners trying to sneak into the U.S., the reporters say they have only encountered Hondurans, Guatemalans and Salvadorans. How have other governments reacted? By the time Trump began his tirade against Honduras for letting the caravan leave the country, it was already well into Guatemala. Still, the Honduran government deployed security forces to a main border point to try to prevent any more Hondurans from joining it. The Guatemalan government detained a former Honduran lawmaker whom it said was helping to organize the caravan. Officials said he "did not comply with Guatemalan immigration rules" and would be deported back to Honduras. Mexico has deployed about 700 National Police to the country's southern border, and has issued warnings stating that the migrants should not try to enter the country illegally. It is not illegal for anyone to seek asylum in another country. Asylum may be granted to any individual who meets the international definition of "refugee." The United Nations 1951 Convention and the 1967 Protocol define a refugee as a person who is unable or unwilling to return to his or her home country, and who cannot obtain protection in that country, due to past persecution or a well-founded fear of being persecuted in the future "on account of race, religion, nationality, membership in a particular social group, or political opinion." The principles of the Protocol, and thereby the Convention, were integrated into the U.S. Refugee Act of 1980. What will happen to asylum-seekers at U.S. border? According to U.S. 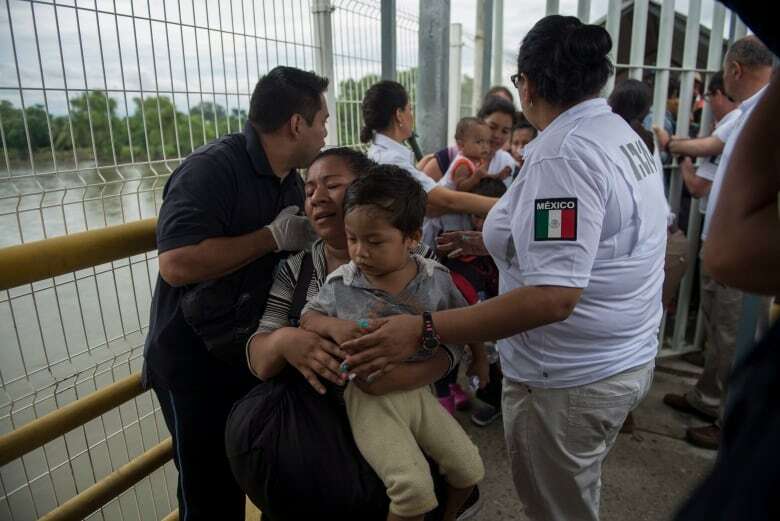 Citizenship and Immigration Services, upon arrival at the border, the caravan asylum-seekers would surrender themselves to the U.S. Customs and Border Protection Agency. Providing they have not had a previous asylum claim rejected by the U.S., they are eligible to make an affirmative asylum request. The process can take months or even years. According to a 2017 Reuters analysis of data from the Executive Office for Immigration Review, the unit of the U.S. Justice Department which oversees immigration courts, where an asylum seeker is from, and in what state he or she makes a claim, can greatly influence an immigration judge's decision.